If you want to attract the largest of pool of qualified rental prospects each time you have a vacancy, then you will want to consider allowing pets in your units. That’s simple math because a majority of renters own pets. Some landlords have found that pets cause damage, so they go pet-free. 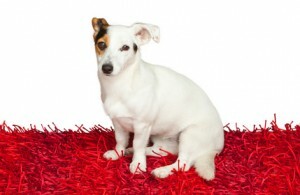 Others find that the same renters who love their pets are more likely to care for the rental home. Pet-owning tenant are grateful that they don’t have to choose between a beloved pet and an affordable rental home. One of the toughest issue landlords face concerning “pets” is companion animals. It’s critically important for landlords to understand that pet policies and restrictions do not apply when it comes to companion and service animals. The major difference between a companion animal and a service animal — from the perspective of the landlord — is that a companion animal does not need to possess any special training. 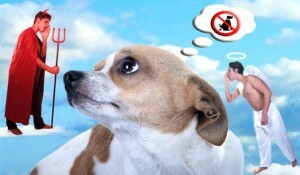 Landlords cannot inquire about training, nor can they limit the animal by species or breed. The only exception would be an individual animal that is dangerous. Local law may come into play in that decision. Otherwise, landlords do have the right to choose “pets” or “no-pets” policies. The most common strategy is to allow pets, with some restrictions to limit tenant conflicts and maintenance costs. The landlords who profit the most are those who embrace pets and make adjustments to keep damage at a minimum. That includes installing surfaces that are easy to clean and hard to damage — tile rather than carpeting, for example, and providing designated dog run areas away from the sidewalks. The most successful policies do not rely on breed or size restrictions, but rather focus on each individual animal. Screen the tenant, not necessarily the pet. Look for a responsible pet owner who can answer simple questions about the animal and has a plan for managing the pet day-to-day. For more on this, see our post How to Screen Tenants With Pets. The pet should be identified in the lease agreement. That’s where all the other provisions concerning pets should be found. If the rules are extensive, you can reference a Pet Addendum. Make sure you have the right to evict the tenant if the pet becomes a nuisance, like persistent barking or damaging the property. It’s important to have that leverage when resolving complaints. Landlords also must decide whether they will charge extra for pets. State law differs on this point. The best way to determine what fees are allowed is to consult with an attorney in the area. Some states allow a “pet deposit” which is in addition to the general security deposit. Other states limit the overall amount that can be charged — one month’s rent is common. If that’s the case, the combined pet and general deposit can not exceed the limit. Because only “pet” damage can be deducted from the “pet deposit”, if the overall deposit amount is limited by law, it is safer to charge the full amount possible as a general deposit rather than designate some portion to pets. In all cases, it is best to clarify in the lease that the deposit will not be refunded until the tenant vacates the unit, even if the pet dies or the tenant gives it away. They may get another pet, or there may be damage that isn’t visible until all the furnishings are removed. Nonrefundable pet deposits are not legal in many states. If a landlord is allowed to charge a pet fee or “pet rent”, it is best not to call it a “deposit” because that implies that the funds are to be returned to the tenant. If a conflict arises over fees, judges tend to look at the overall package — what other fees are being charged to this tenant compared to the market rent in the area. If the tenant is subject to too many other fees or charges, a judge may find the lease is illegal. Again, remember that no fees or deposits can be required if the “pet” is a companion animal. With a little bit of foresight and planning, tenants and pets can all live peacefully in a rental property with minimal damage, and landlords can enjoy the benefit of more quality tenants, which is the key to profitable rentals. this article on pets doesn’t apply to Canada. We have a no-pet policy and don’t accept a “companion” animal, only a service dog. If you think you know different, please contact me. Previous post: Tenants Take Too Big a Risk?